People have known to use wigs as a vital accessory to make their appearance more glorious for ages. 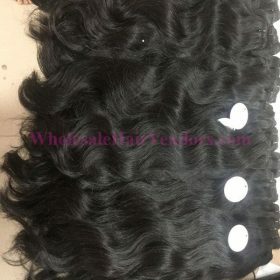 However, along with the advances and development in the beauty industry, ladies are in love with the natural shade of hair integrations regardless of higher price. Nowadays, there are hundreds of countries which are famous for their human hair characteristics, such as India, Brazil, Vietnam, and Cambodia. 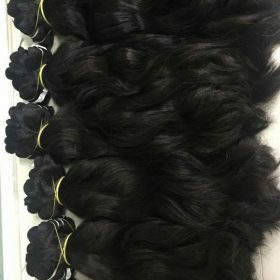 Recently, Cambodian hair is the keyword that is searched so much on social networks for those looking to purchase hair. What are the characteristics of its hair that make people care? Moreover, the favorite of customers who want to buy hair is preferred to buy the hair in Cambodia. They even show their love for this type of hair. Cambodian hair is taken from the Khmer ethnic group and they have a habit of raising long black hair. Most Cambodian women love the traditional costumes of Cambodia. We often see them appearing with extremely sampot clothes that leave a lot of impression to international friends. The thing that left people in another country remembered was their long black hair. The hair care habits of Cambodian are sophisticated and careful, they often wash their hair with cold water and take care of natural flavoring. Because of that, Cambodian hair is being sought by many people. 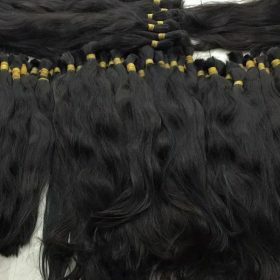 Behind a large number of Cambodian hair extensions exported is the real story that will leave you with lots of thoughts. In Cambodia which is packed with both dust and suffering, both bustle and the richness in culture, in desperate poverty, women are forced to sell their bodies, their hair and even their child to feed on themselves. If you have a chance to visit a village about 45 miles away from the center where you can drop by the real origin of Cambodian hair extensions, you will happen to meet around 80 families without enough food, electricity, and clothing stuff. Women aged from 18 to 60 just line up to sell hair at the price of 20,000 to 33,000 riel (approximately $5 to $8). Every four to six months, collectors come to such villages to collect hair and give them money in exchange. 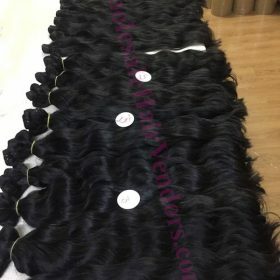 Therefore, in general, Cambodian hair is good in nature and it is better for you to check their images of collecting hair before reaching the final decision. Our company hair originates from the rural areas of western Cambodia where many women with extremely beautiful hair are gathered. 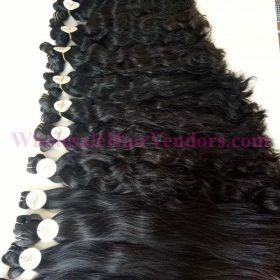 Therefore, we can ensure that you can have high-quality raw Remy Cambodian hair extensions. Before getting to know about features of Cambodian hair extensions, you need to be clear about some related terms. 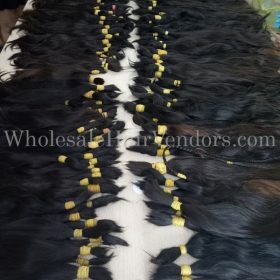 As you can see in the title ‘TOP wholesale raw Remy Cambodian hair extensions suppliers’, we use a quite unfamiliar word named ‘remy’. For those who do not have any idea about it, Remy is referred to the features of the hair. Remy means human hair – the highest grade of the real human hair. To achieve the most natural look, this is a preferred choice. On the contrary, non-remy hair is also human hair but it is collected from multiple sources. In other words, Remy refers to virgin hair. To shorten the article, we will provide you with this detailed image in that you can see how different the two are. 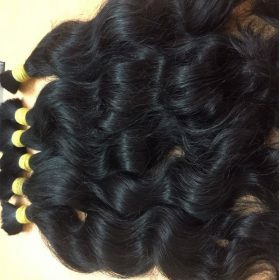 This Cambodian hair is very soft, smooth, and mysterious black that suits any personality or style. Our company hair has a high gloss, smoothness, and softness. The hair is light, smooth and sleek in its prominent features. This is one of the reasons make it become the most popular hair on the market in the world. The health of the hair makes it easy to use for all styles and long-lasting preservation. With the hair, the hair will not lose or tangle and maintain its smooth, sweet as before. In terms of textures, there are 3 main textures that count. You may like among straight, wavy and curly strands. You can experience both natural silk and heavily textured ones. In terms of weight, it is not exaggerated if we say that it seems to lightweight. Additionally, remy Cambodian hair extensions require low maintenance indeed. Number 1 should belong to the straight texture of Cambodian hair. It is easy to keep and to your surprise, it lasts quite long with proper care. Meanwhile, tangles and matters no longer exist to threaten your amazing look. This kind of hair is also easy to style. If you are thinking about a sophisticated style as you often see on the red carpet, you can definitely try with Raw Cambodian hair vendors. You can find anything in this hair – good quality, a wide variety of color to do with and good texture. Last but not least, experts have claimed that Cambodian hair extensions are among the best and the highest quality hair in the world. What good news for those who are considering Cambodian hair extensions as their new love! When compared to Vietnamese hair – its counterpart in the current market, Cambodian hair extensions are the best suited to those who desire straightness and smoothness. On the contrary, a Vietnamese one is perfect for achieving the softness. Ivirgo hair company supplies natural Cambodian hair products with the variety of products: straight hair, wavy hair, curly hair, u tip, tip, tip, clip, flat tip, tape hair, closure, frontal, … In order to meet the increasing demands of our customers, Ivirgohair diversified its products flexibly: from 6 inches to 32 inches, with natural black color, brown color and blonde color, diverse straight style, wavy, curly. One of Ivirgo hair’s most sought-after products is natural wavy Cambodian hair. The natural wavy Cambodian hair is the natural and unprocessed hair. The waves of natural wavy Cambodian are natural black hair and healthy hair. 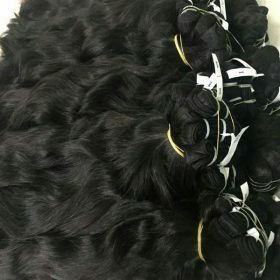 With the natural black color, the shine of the hair is very beautiful, glossy, soft, smooth and existent with time without losing its natural beauty. This is the highlight of Cambodian hair. Ivirgo hair company is extremely diversified products of Cambodian hair. 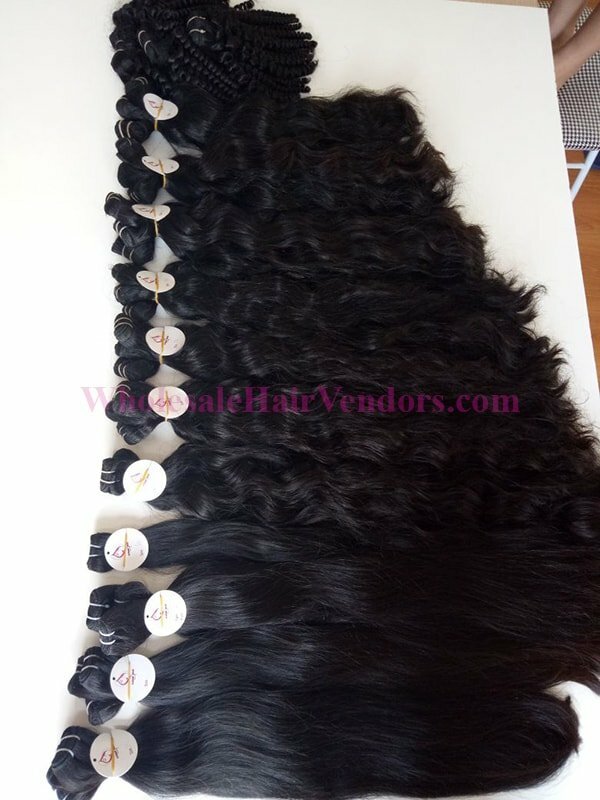 We specialize in supplying 100% natural human hair. With the high – tech, we launched all products of best quality hair without chemical. The hair is our reliable product. As you may not know, Vietnam is a well-known hair importing nation which often imports strands directly from Cambodia because these countries are geographically close to each other. As Cambodian hair vendors are small and medium in general, it is easy to collectively find and gather. 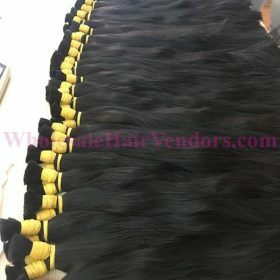 This is the reason why you can search for real Cambodian hair extensions without being overcharged. Everything happens for a reason and that Ivirgo becomes a reliable supplier occurs for a reason as well. When it comes to a hair supplier, people would take 3 factors into consideration, namely quality, service and price. As for quality, Ivirgo always commits that their hair is collected right from that on the heads of Cambodian ladies. Therefore, they are all healthy strands which have never gone through any chemical processes. In each item, you can see its transparent source. With the products that Ivirgo provides, you do not need to worry anymore. The strands are all in their natural state wit the cuticles running in the same direction and are kept in tact for sure. You can bleach, dye and process the hair in the way that you wish. A small note is that you can tell your desire to the customer servicer for more pieces of advice. 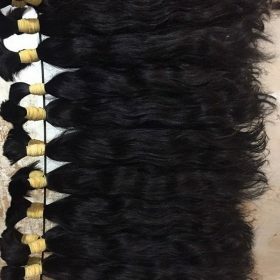 In terms of prices, among top wholesale raw remy Cambodian hair extensions suppliers, Ivirgo offers best hair at the fairest price while it still meets your strict requirements. You can even enjoy promotion when special occasions such as Christmas or Thanksgiving are coming. About customer service, we seem to really be proud of our team. We always try to be your companion in your confusing journey of choosing the right hair for your new you. Ivirgo can help you through almost all social platforms from Facebook to Whatsapp. A delivery policy is clear and understandable for all of you to keep the track of. You can get your desired product as soon as possible (within just several days). If you still doubt whether Cambodian hair is good or not and if Ivirgo is worth your belief, please take your time to read the whole article about Cambodian hair extensions here (dẫn link bài What is Cambodian hair like) and reviews from previous customers. Hope that you can have a good experience and good luck with your decision!